The project is run and staffed by Matthew Randle and Michelle Jenkins. Michelle holds BSc Psychology (1991) and BA Social Work (2009) degrees. Matthew has a Diploma in Social Work (1995) and an NVQ Level 4 in Social Care Management (2005), and worked in a local authority for many years in a position of management. Matthew and Michelle have a combined experience of over 40 years working in the field of social care for Local Authorities and the private and voluntary sectors. This experience includes working in the Young Offenders Service, Child Protection teams, with children and adults with learning disabilities, managing residential care services, with people with mental health issues and in the field of substance misuse, and with children and young people who have been excluded from mainstream education. 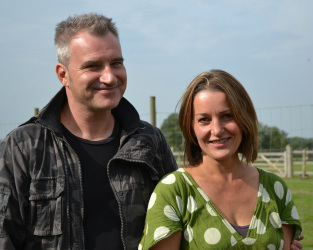 Matthew and Michelle are keen horticulturalists who have been developing the Project for a number of years and feel that now is the right time to offer a caring service that combines all the positive advantages of outdoor working, horticulture and animal husbandry with robust outcome focused social care.